Preheat the oven to 400º. Whisk together egg, oil, and honey or agave syrup in small bowl. Mix together the rest of the ingredients in a medium bowl. Add the dry ingredients to the wet. Combine the ingredients as well as possible with spoon or fork – it will be quite sticky. Put about 1/8 cup of tapioca flour on a clean surface. Pull everything out of the bowl and make a dough ball. Knead the dough on the tapioca-dusted surface until it stops sticking to your hands (3 to 5 minutes). 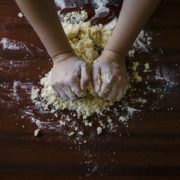 Roll the dough out into a circle; you can either use a rolling pin or your hands to press it out until it is the thinness you desire. I like to make two smaller rounds for two different pizzas! Transfer this circle to a baking sheet. Brush the round with a bit of olive oil, prick it in a couple of places with a fork, and place it in a 400º F oven for 15 minutes or until slightly golden on the top. Remove from the oven and add the sauce or pesto and toppings of your choosing. Place back into the hot oven and bake another 5 to 10 minutes until it’s all nice and bubbly. Let cool for 5 minutes and serve. In a food processor, mince the garlic. Add tofu, olive oil, vinegar, yeast, and salt. Process until smooth and creamy. Taste and add more salt or garlic if desired. Add optional fresh herbs and pulse until they are well combined. This tofu “cheese” works great in the gluten-free lasagna recipe or in the calzones. To create dairy-free pizza, I suggest trying some of the dairy free “cheese” blocks that are available in PCC. Some are made of soy and others with almond or rice. You can grate them just like regular cheese. Many of my patients that are dairy-sensitive are able to tolerate goat cheese. It actually digests much more easily than cow dairy. Consider this as an alternative when making recipes that call for cheese. https://thesynergywellnesscenter.com/wp-content/uploads/sites/9/2014/01/pexels-photo-26673.jpg 1280 1280 The Synergy Wellness Center /wp-content/uploads/sites/9/2017/05/logo.png The Synergy Wellness Center2014-01-25 14:32:242017-07-11 15:44:48Dairy Free "Cheese"
Preheat oven to 375º. 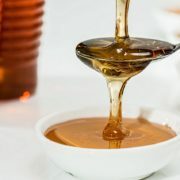 Whisk together egg, oil, and honey or agave syrup in a small bowl. Mix together the rest of the ingredients in a medium bowl. Add the dry ingredients to the wet. Combine as well as possible with a spoon or a fork – it will be quite sticky. Put about 1/8 cup of tapioca flour on a clean surface. Pull everything out of the bowl and make a dough ball. 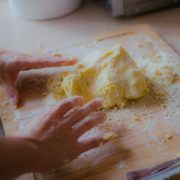 Knead the dough on the tapioca-dusted surface until it stops sticking to your hands (3 to 5 minutes). For smaller calzones, separate the dough into 4 balls; for larger ones, make 2 balls. Roll dough out into a circle; you can either use a rolling pin or your hands to press it out until it is about 1/8-inch thick. 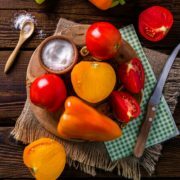 -For smaller circles, use ¼ cup of any combination of fresh veggies, cooked beans, or cooked meats, ⅛ cup marinara or pesto, ⅛ cup of goat cheese, Italian cheeses, ricotta cheese, or dairy free “cheese” options. -For larger circles double the above amounts. Once the filling has been placed, fold the dough over towards the front tip so that it comes just over the top of the filling. Bring the exposed portion of the bottom piece up and fold over the top piece, using your fingers to press down, creating a seal. Brush with a bit of olive oil, prick the top in a couple of places with a fork, and place in a 375º F oven for 20 to 25 minutes until golden brown on top. Let cool 5 minutes and serve. 1. Pizza Crust: This dough makes a great pizza crust. Just roll it out nice and thin, crimp edges, prick several places with a fork, and bake in a 400º F oven on a pizza stone or baking sheet for 12 to 15 minutes, until slightly browned. Remove, add toppings, and bake an additional 8 to 10 minutes until bubbly. 2. Crackers: Flatten the dough to the thickness of a tortilla. Place on a baking sheet and brush with oil or butter. Cut into bite sized pieces and bake 20 minutes, until slightly browned and crisp. Let cool and store in an airtight container. Get creative with seasonings! 3. Soup Bowl: You can press this dough into ¼-inch thick layer over ovenproof bowls. Bake at 400º F for 25 minutes, or until golden. Remove from bowl and pour in soup of your choice! Idea adapted from “Gluten Free for Dummies,” by Danna Korn. I love calzones, and I spent quite a bit of time, and wasted a lot of flour, trying to create a gluten-free version that would stay together and taste good. The xanthan gum is a must, and this mixture of flours creates a nice flavor. Pour the warm water in a large mixing bowl. Add the sugar and package of yeast. Stir the mixture slowly until the yeast and sugar are dissolved. Let it sit to allow the mixture to “mature” for about ten minutes or so. The mixture will begin to react; clouding and forming a foamy “head” on the surface of the mixture. Add the salt and the olive oil and stir again to combine the ingredients. Add 1 cup of Gluten-free flour mix and whisk in until dissolved. Mix in the second cup of flour and xanthan gum. Add the third cup of flour and combine. By now the dough mixture should be fairly thick. Add the last cup of flour and, with your hands, begin to combine and knead the dough. Remove the dough ball to a tabletop to knead it. 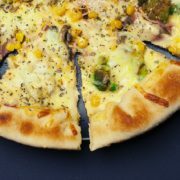 You may need to add a dusting of flour from time to time to reduce the stickiness of the dough. Knead dough for about 5 to 8 minutes. You may need to add olive oil during this process. You’ll know you’ve done well when the ball no longer sticks to your hands. It will become a smoothly-textured ball. Bake at 400º F for 20 to 25 minutes. Cool and eat! Add the olive oil to a medium or large soup pot and heat to medium. Stir in garlic and let caramelize a bit, about 2 minutes. Add leek and cooking wine; let simmer 3 or 4 minutes. Add chopped root vegetables and 2½ cups of the broth. Cover and let simmer. In a blender or food processor, put half of the cannellini beans and the remaining 1½ cups broth along with the rosemary and/or thyme; blend until well-mixed. Add this to the stew, and continue to simmer 20 to 30 minutes until your veggies are the desired texture. About 5 minutes before serving add the remaining beans, parsley, and apple cider vinegar. Sprinkle rosemary sea salt on top to taste. Serve with a spring of fresh rosemary or thyme and a side of Sprouted Quinoa Flatbread. This is also paired nicely with some salty, hard cheese bits on top, such as Parmesan. Put one part chopped, fresh rosemary to 2 parts sea salt in a coffee grinder (used for grinding herbs). Pulse until rosemary is very finely chopped and well mixed with salt. 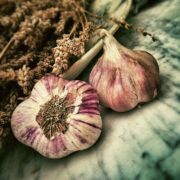 You can store this for several weeks in a glass container or salt “pig.” Great addition to Italian dishes! Would you like to know the secret to making the perfect Hot Mustard Sauce? This sauce is quick and simple to prepare, and adds fantastic flavor to any Asian dish. It pairs well with tofu, fried rice, and makes a great dipping sauce for Tiffany’s Garden Fresh Spring Rolls. Mix all of the ingredients in a small bowl until they are well blended. Let the sauce stand for about 30 minutes to let flavors fully develop and then Enjoy! This sassy salsa is a treat for your belly and your eyes! With a variety of fresh, delicious veggies it is quite a colorful delight! 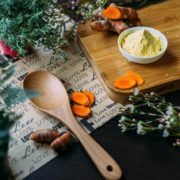 In the upcoming video clip, Tiffany shares with you some time-saving tips on how to chop the veggies and offers you her unique perspective on the healing benefits and energetic qualities of the ingredients. 1. Put the first 7 ingredients into a medium mixing bowl and stir to mix well. Add the avocado chunks and stir easily so that the avocado does not get mushed. 2. Eat with gluten free chips or use as a fun, colorful, and oh so tasty topping on anything you like! It’s no secret, wild salmon is oh-so good for us because it deeply nourishes our bodies. In this super easy recipe you learn how to savor salmon in a new dish! A gluten free version of one of my favorite dishes that my mom used to make when I was a kid. I love making these with leftover salmon, but you can also use canned, wild salmon. Experiment with different gluten free dipping sauces. 12-15 crushed “Mary’s Gone Crackers” Black Pepper Flavor, OR any gluten free cracker will do. 1. Combine the first 6 ingredients in a food processor and pulse until they are well minced with no sign of large chunks. 2. Place almond meal on a plate. 3. Heat the oil to med/low in a large skillet. 5. Place in a skillet and cook 5-7 minutes or until each side is browned. 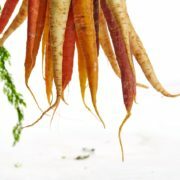 Serve these hot with Annie’s gluten free horseradish mustard or a gluten free BBQ sauce. Tasty! Poaching salmon is one of the easiest (and quickest!) ways to prepare salmon. Using this method helps the salmon retain all of its moisture. Learn how to make this recipe so you can benefit from the amazingly nutrient dense salmon. Wild salmon is truly a “super food!” It is loaded with goodness, low in calories and saturated fat, high in protein, and high in important Omega 3 essential fatty acids. The omega 3’s have a broad array of benefits to the heart, helping to prevent erratic heart rhythms, makes blood less likely to clot in the arteries, improve the ratio of “good” to “bad” cholesterol, and prevent cholesterol from being damaged. 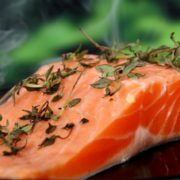 Salmon has been shown to prevent and control high blood pressure, protect against stroke, reduce the risk of arrhythmias, lower lipids, prevent clotting in the arteries, improve insulin response, improve blood flow, reduce Macular degeneration, fend off dry eyes, protect against sunburn, improve concentration and decrease age related cognitive decline, AND decrease depression. As if that wasn’t enough, the omega 3’s in salmon can act as anti-inflammatory substances in the body (which is helpful in combating a good portion of the diseases that affect us today), and it is a good source of B vitamins…plus it tastes AMAZING!!! This way of preparing salmon seals in the moisture and it does not absorb the oil. To date, this is my favorite way to prepare salmon. By the way, the method works great for other types of fish too. Place the oil in a small skillet and heat it on low. Once the oil is hot, place the fish skin side down in the center of the skillet(make sure that the fish is not wet or oil will splatter). Cover and simmer on low for 10 minutes. Check the center of the thickest part of the fish. If the flesh has turned color then you know it is done. Remove the salmon from the heat quickly to cease the cooking process. The best way to do this is with a slotted spatula, so that the oil drains off. Sprinkle with white pepper and salt, and maybe a bit of parsley for color. So simple, so fabulous! Wait until you see this dish! 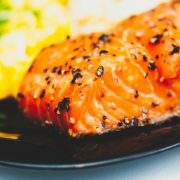 In this lesson you’ll learn how to steam salmon and the tricks to keeping it smooth, tender, and moist. I can’t wait for you to try it! The honey adds depth to the sweetness of the fish. The flavor is velvety sweet and a little savory. Delicious and SO easy to make! Use a steamer or a pot with a steamer insert. Put several inches of water in the bottom of the pot and bring it to a boil. Place a large lettuce leaf, greens leaf, or cabbage leaf on the steamer basket and then place the salmon filet on top with the skin side down. Cover and steam for 10 minutes (more time may be needed for thicker cuts). Check the center of the thickest part of the fish; if the flesh has turned color then you know that it is done. Remove the pot from the heat to quickly cease the cooking process. Mix the miso and the honey in a small bowl and then spread the mixture over the top of the fish. Sprinkle with Gomasio, and maybe a bit of parsley for color.